ACALANES UNION HIGH SCHOOL DISTRICT. Administrative Law Judge (ALJ) Rebecca Freie, from the Office of Administrative Hearings (OAH), State of California, heard this matter on February 4-5, 7-8, and 11-15, 2013, in Walnut Creek, California. The last day of hearing was conducted telephonically on March 7, 2013. Attorney Mandy Leigh represented Student. Attorney Jay Jambeck was present and assisted Ms. Leigh for three days of the hearing. Attorney Sarah Fairchild also assisted Ms. Leigh for all but one day of hearing. Both Mother and Father (referred to collectively as Parents) were present for the first four days of hearing. Father was present for the remaining days of hearing. Student did not attend the hearing. Attorney Elizabeth Rho-Ng represented Acalanes Union High School District (District). Attorney Jennifer Fain was also present for one day of hearing. Cheryl Hazell-Small, Director of Special Education and Auxiliary Services for the District, was present throughout the hearing, with the exception of a few brief absences, as the District’s representative. Steven France, director of the District’s Center for Independent Studies (ACIS) was present for the last day of hearing, and a few other times when Dr. Hazell-Small was briefly absent. 1 For the record, Student’s closing argument is designated as Student’s Exhibit S-120, and the District’s closing argument is designated as District’s Exhibit D-98. 2 The issues have been slightly reworded from the Order Following the Prehearing conference for clarity. No substantive changes were made. 3 In this decision the ALJ finds that the District did not err in finding Student ineligible for special education and services. Accordingly, Fusion is discussed only in relation to Student’s reported academic success at Fusion in the school’s non-special education environment, as that information relates to the eligibility issue. Student asks that the District reimburse Parents for the tuition paid to Fusion Academy for the 2012-2013 SY, should he prevail, and also asks for the District to pay for Student’s continued attendance at Fusion as compensatory education. Student claims that the District should have found him eligible for special education services at an individualized education program (IEP) meeting held on April 25, 2012, because he has an SLD in the area of mathematics. He also asserts that he qualifies as a student with OHI due to his diagnosis of attention deficit hyperactivity disorder (ADHD), and because his manifestations of ADHD are such that he requires special education services. He contends that his poor grades in academic subjects, and previous disciplinary actions by the District, were due to his ADHD and support his contention that he requires special education services. Student alleges that he is currently receiving a FAPE as a student at Fusion, a private school, and this establishes that he requires this type of specialized instruction, further bolstering his claim of special education eligibility as a student with OHI. 4 A “504 plan” is an educational program created pursuant to Section 504 of the Rehabilitation Act of 1973. (29 U.S.C. § 794; see 34 C.F.R. § 104.1 et. seq. (2000).) Generally, the law requires a district to provide program modifications and accommodations to children who have physical or mental impairments that substantially limit a major life activity such as learning. 5 There was evidence introduced at the hearing that the District offered Student placement at ACIS after he filed his complaint in October 2012. However, the ALJ has determined that this evidence need not be considered for the purposes of this Decision. 6 The ALJ’s reasoning for denying the motion is contained in the record. 7 The document was admitted into evidence as an exhibit to clarify the record in this matter, in the event that this Decision is appealed. As explained in this Decision, Student did not establish by a preponderance of the evidence that he has an SLD. Further, although Student has ADHD, he did not establish by a preponderance of the evidence that he requires specialized instruction due to that diagnosis, and thus he does not meet the eligibility criteria for OHI. The evidence established that Student’s needs could be met through accommodations and modifications, possibly through a 504 plan. However, because OAH does not have jurisdiction to over 504 plans, no findings are made as to the adequacy of the District’s proposed 504 plan and accompanying BSP. Pursuant to Education Code section 56505, subdivision (e)(7), the parties were to provide each other with the exhibits each intended to introduce during the hearing no later than close of business on January 28, 2013. However, because the District mis-addressed the package containing its evidence binder by listing a suite number Student’s attorney had vacated several months before, the delivery service used by the District’s attorney delivered the binder to a suite no longer occupied by Student’s attorney. A replacement binder was delivered to Student’s attorney during the afternoon on January 29, 2013. On January 31, 2013, Student filed a motion asking OAH to bar the District from introducing any exhibits contained in the binder of evidence his attorney received from the District because it was not timely delivered to his attorney’s office. At the commencement of the due process hearing, the undersigned ALJ denied the motion. 6 Student maintained a standing objection throughout the hearing to the admission of exhibits contained in the District’s evidence binder, which is noted for the record. On January 31, 2013, the District filed a motion asking that one of Student’s documentary exhibits be excluded because it referred to settlement negotiations in mediation. On the first day of hearing, the undersigned ALJ ruled generally that evidence concerning mediation negotiations would be excluded. The questioned document was not introduced by either party into evidence and was not admitted. No objection was noted by Student. During the hearing, the District asked that it be permitted to call Jacqueline Cheong, Ph.D. as a witness. Dr. Cheong prepared a chart comparing scores Student attained on assessment subtests administered to him by a neuropsychologist, Roslyn Wright, Psy.D., and assessment subtests administered to Student as part of the District’s assessment. Student objected to the introduction of this document and Dr. Cheong’s testimony. The undersigned ALJ determined that the testimony of Dr. Cheong, and the chart she prepared, were not necessary for the ALJ to render a decision in this matter, and that the probative value of the evidence was outweighed by the consumption of time it would take for Dr. Cheong to testify. 7 The District maintained a standing objection to that ruling throughout the hearing. 1. Student is presently 16 years of age and has resided with Parents within the boundaries of the District for many years. Student matriculated into the District after attending Walnut Creek Intermediate School (WCI), a middle school that feeds its students into District high schools. Student began attending Acalanes High School (Acalanes) in the District in August 2010, as a ninth grade freshman. 2. During summer school in 2011, Student set off an explosive device, referred to during the hearing as “the Works bomb,” during the school day and on a District high school campus. The District suspended Student, and subsequently expelled him from the District. Following his expulsion, Student attended Golden Gate Community School (Golden Gate), which provides education to students who have been expelled. Since March 5, 2012, Student has attended Fusion, a private school that offers one-to-one instruction. 8 The complaint raised issues related to Student’s expulsion. The undersigned ALJ takes official notice of the pleadings in this related matter, OAH Case No. 2012020227, pursuant to Evidence Code section 452, subdivision (d). However, the allegations contained in those pleadings were simply reviewed for contextual purposes and not considered for any Factual Findings in relation to these proceedings. 9 Dr. Wright received her bachelor’s degree in psychology from the University of Toronto in 1991, and her master’s degree in counseling and education 1993 from Alfred University. She received her doctorate of psychology (Psy.D.) degree in clinical psychology from the California School of Professional Psychology in 2000, and was licensed as a psychologist in California in 2001. She has a private practice, Bay Area Psychological Testing Associates in San Francisco, California, and has worked in the field of psychology in various positions since 1991. 10 Dr. Weiss received his bachelor’s degree in sociology and psychology from City College of New York in 1974. He received his master’s degree in school psychology from the same institution in 1983, and received his Psy.D. degree in clinical/school psychology from Yeshiva University. From 1983 to 1991, he was employed as a school psychologist in the state of New York, and from 1999 to the present as a school psychologist in California. He also has taught psychology at various educational institutions, and been the director of mental health treatment programs. From 1989 to the present, he has had a private practice as a clinical psychologist, and currently sees patients 20 hours each week. 11 There were other components of the 504 plan which are not relevant to this Decision. 12 Ed. Code, § 56337, subd. (a). 13 NEPSY is not an acronym. 3. On February 7, 2012, Student filed a request for mediation and due process hearing with OAH. 8 A settlement agreement was negotiated by the parties, and it provided that Parents would be reimbursed for costs incurred for Student to attend Fusion through the end of the District’s ESY 2012. In addition, the settlement agreement called for District personnel to assess Student, and for an IEP team meeting to then be held to determine whether Student was eligible for special education services. 4. The District assessed Student in March and April 2012. An IEP team meeting was held on April 25, 2012. Parents and Student attended the meeting, as did Ms. Leigh and the principal at Fusion, Dr. Shalen Bishop. Dr. Hazell-Small attended the meeting, and was accompanied by Pamela Lewis, a school psychology intern who conducted most of the District’s testing of Student, and wrote the District’s psychoeducational assessment. She was supervised during this process by a District school psychologist, Anneliese Pearce, who also attended the IEP team meeting. Rob Allison, a resource specialist program (RSP) teacher at Las Lomas High School (Las Lomas), Student’s neighborhood school in the District, did the academic testing of Student for the assessment, and also attended the IEP team meeting, as did Ms. Rho-Ng. 6. Based on the information considered by the IEP team at the meeting of April 25, 2012, including discussion among the team members, the District determined that Student did not meet eligibility criteria for special education, and offered a detailed 504 plan, with a BSP. The 504 plan called for him to attend school at Las Lomas, have a supervised study hall period, and also attend Mr. Allison’s Learning Center as a peer tutor. 11 Both of these environments would give Student the opportunity to complete assignments at school, and to have a daily check-in to ensure he was understanding and completing assignments, and to assist him in improving executive functioning skills, which are often a deficit for students with ADHD. 7. Although Student’s IEP team members did not agree with the eligibility determination, they worked with District team members to formulate a 504 plan at the April 25, 2012 IEP team meeting. A BSP to accompany the 504 plan was subsequently developed and sent to Parents. The District had no indication that Student would not attend Las Lomas with a 504 plan and BSP until August 7, 2012, when Parents wrote the District and advised it that Student would continue to attend Fusion for the 2012-2013 SY and they intended to seek reimbursement from the District for that expense. 8. Father explained at the hearing that the reason the District’s proposed 504 plan was rejected just a few weeks before 2012-2013 SY was because of an incident that had occurred a few days before the August 7, 2012 letter. Parents and Student went on a camping trip with another family. Student and two other teenagers on the camping trip left the campsite and smoked marijuana. This violated Student’s ongoing juvenile court probation that resulted from the Works bomb incident. Parents believed that this recent incident was another example that Student’s impulsivity due to his ADHD which would continue to get him in trouble, and the 504 plan and BSP would not be sufficient to eliminate this risk at Las Lomas. 9. When a request for a due process hearing asks whether a District’s determination of eligibility or offer of services made at an IEP team meeting complies with the Individuals with Disabilities Education Act (IDEA), an ALJ must generally make that determination based on the information that the IEP team had available to it at that IEP team meeting. However, subsequent information may also be considered to assess the reasonableness of the IEP team’s determinations. 11. Part of Dr. Wright’s assessment included the administration of the Wechsler Intelligence Scale for Children-IV (WISC-IV), as well as the Woodcock-Johnson Tests of Achievement-III (WJ-III), and several subtests of the NEPSY, Second Edition. 13 Based on the results of this testing, Dr. Wright concluded that Student had an SLD in the area of mathematics. 12. There are three different methods for determining whether a student has an SLD. One of these is when a student has a serious discrepancy between intellectual ability and achievement in a certain area. This is known as the severe discrepancy approach, and is determined by measuring the difference between a student’s ability or cognitive scores, and his scores in specific areas of academic achievement. 13. The WISC-IV can provide an assessor with a measurement of a student’s ability by way of a full scale intelligence quotient (FSIQ). This measurement is ascertained by mathematically calculating the various scores of specific WISC-IV subtests. Some subtest scores are given more weight than others, and some may not be computed as part of the FSIQ. However, if a student has an unusually low score in one area that indicates a deficit in a specific mental processing area, that score may be weighted differently and then a different score is produced, called the general ability index (GAI), which may be different than the FSIQ. 14 An average standard score is 100, plus or minus 10 points, so these scores were still in the average range. 15 Ms. Lewis received her bachelor’s degree from the University of New Hampshire in social work in 1985. She received a Juris Doctorate degree from Boston College in 1989. In 2012 Ms. Lewis received her master’s degree in educational psychology as well as a pupil personnel services (PPS) credential in school psychology. Ms. Lewis is currently employed as a school psychologist by the Martinez Unified School District. When she conducted her testing for the District’s psycho-educational assessment, she was completing her school psychology internship in the District and was supervised by a District school psychologist, Anneliese Pearce. 14. When Dr. Wright administered the WISC-IV to Student, she found that he had a FSIQ of 109. This score places him in the 73rd percentile compared to other students his age. This FSIQ was based on standard scores of 119 in verbal comprehension, 115 in perceptual reasoning, but much lower scores of 94 in working memory, and 91 in processing speed. 14 Because these lower scores demonstrated a processing deficit that Dr. Wright determined was significant, she computed Student’s GAI, and found that to be 120. A GAI of 120 places Student in the 91st percentile compared to students his age. 15. When Dr. Wright assessed Student’s academic achievement with the WJ-III, Student had a score of 119 in the area of Broad Reading, which was in line with both his FSIQ and his GAI. However, in the area of Broad Math Student’s Math Calculation score was 92, and his Math Fluency score was 94. Although these math scores were still in the average range, Dr. Wright found a severe discrepancy, which led her to conclude that Student had an SLD in the area of math. Dr. Wright did not administer any other WJ-III math related subtests to Student. 16. The District also conducted its own assessment of Student. To determine Student’s cognition level, a school psychology intern, Pamela Lewis administered the Woodcock-Johnson-III Tests of Cognitive Ability (WJ-III CA). 15 Like the WISC-IV, the WJ-III CA measures a student’s cognitive level, and consists of several subtests in different areas that determine a student’s cognitive areas of strength and weakness. A student’s scores on various clusters and subtests that measure cognitive abilities are given different weights and measured to produce a score that is similar to, but not the same as the WISC-IV’s FSIQ. This score is referred to as the “general intellectual ability score,” or the GIA. However, if a Student’s scores in various clusters or subtests are significantly disparate, the GIA is not considered to be a reliable measure of the student’s cognitive ability. Generally speaking, there is a strong correlation between a test subject’s FSIQ on the WISC-IV, and the GIA on the WJ-III CA. However, the WJ-III CA does not have an alternative method of scoring to come up with a different cognitive measure that would be similar to the GAI from WISC-IV testing. Instead, the GIA will be given much less weight, and more attention will be paid to the scores in various subtests and clusters to determine whether the lower scores are the results of one or more processing deficits which may need to be addressed. 17. Student’s GIA on the WJ-III CA was 106, a score in the 66th percentile. However, there was a large scatter in his subtest scores, ranging from scores of 121 in the Spatial Relations subtest, and 118 in Thinking Ability (this subtest measures intentional cognitive processing), to a 73 in the Visual Matching Subtest and 84 in the Cognitive Efficiency cluster (these measure automatic cognitive processing). As a result, the GIA of 106 was not considered to be an accurate measure of Student’s intellectual ability. These testing results (including testing in other clusters and subtests) led Ms. Lewis to determine that Student had a significant processing strength in overall thinking abilities, and a relative weakness in the area of visual processing speed. Ms. Lewis hypothesized that this discrepancy might be related to Student’s diagnosis of ADHD. However, there was no evidence that Student’s ADHD affected his ability to perform in math to the degree necessary to find he has an SLD in that area. 16 Mr. Allison has a bachelor’s degree from the University of LaVerne, and a master’s degree from Wilmington University. He received his California mild to moderate special education credential following coursework at California State University, Sacramento. He has been a special education teacher in California and Delaware since 2002, and has been with the District since 2011. 17 The practice effect refers to the tendency of testing subjects to perform better on a test that was previously administered to them in the past 12 months. 18 In the spring of each year students in grades two through 11 are administered standardized tests in several academic areas. The areas tested always include English language arts (ELA) and math, although other subject matters are also tested in some years. There are five ranges for students’ scores: far below basic, below basic, basic, proficient and advanced. CST testing is also referred to as STAR [standardized testing and reporting] testing. Most ninth grade math students take algebra. Student’s pre-algebra teacher at Acalanes testified that his pre-algebra students all took the algebra CST because the scoring system for CST would automatically show them as below basic if they took a simple math CST because it was below their presumed academic level. Therefore, it was better to have them attempt the algebra CST in grade nine since there was a possibility some might score higher than the far below basic level, thus raising the school’s overall scores in Math. 19 Although Mr. Takahashi testified that many students in the class had IEP’s there was no evidence that these students were assigned to his class because they had SLD’s in the area of math, or had an intellectual disability. 20 Student does not claim eligibility due to the ODD diagnosis. 21 Ms. Seerley is a licensed marriage and family counselor (MFT) with expertise in working with youth and adults who have ADHD and learning disabilities. She has been in private practice since 1979. In the 1970’s, she worked in public schools as a credentialed school psychometrist, assessing children with learning disabilities. Ms. Seerley is not a school psychologist, and has not worked in a public school setting since 1978. However, part of her practice is to act as an educational consultant to help families find appropriate educational placements for children with disabilities. She has attended IEP team meetings, and meetings concerning 504 plans. 18. Mr. Allison administered the WJ-III to measure Student’s academic strengths and weaknesses. 16 To ensure that the District’s test results were not inaccurate due to the “practice effect,” the District queried Dr. Wright as to which form of the WJ-III she administered. 17 After receiving the information that she had used Form A, the District used Form B. On the Math Fluency subtest Student scored 107. On the Math Calculation subtest, Student scored 110. On the Applied Problems subtest, Student scored 106. As a result, Student’s score in the Broad Math cluster was 109, and in the Brief Math cluster it was 108. These scores were not at all discrepant from Student’s WJ-III CA cognitive scores. This was especially important since the WJ-III CA and WJ-III are products from the same test publisher and created so that the results can be correlated. The results of the WJ III-CA and WJ-III showed no discrepancy between Student’s cognitive ability and his achievement in any area, including math. 19. The evidence established that test scores can vary based on the subject’s physical and/or mental status on the day of testing, and in the case of math scores, that a student who is currently taking a math class and therefore having daily practice in math calculation may score higher than a student who has not recently taken a math class. When asked to explain the reason why Student’s math scores were so different when he was tested by Mr. Allison, compared to those she obtained from Student when she tested him, Dr. Wright had no explanation. Dr. Weiss also could not explain the disparate scores when he was asked to do so. 20. When Ms. Lewis spoke to Student’s algebra teacher at Fusion in April 2012, Student was taking the second semester of algebra I, and Ms. Lewis was informed that Student had an “A-.” That teacher did not indicate that Student was having any problems in her class, or demonstrated any deficits that might indicate he had an SLD in math. In addition, Student previously had a “B” in first semester algebra I from Golden Gate. Further, Student’s math scores on the California Standards Test (CST) put him in the basic to proficient range in Math each school year beginning with third grade, with the exception of the spring of 2011, when Student took the algebra CST when he was still enrolled in pre-algebra, and scored in the below basic range. 18 Also Student did well in ninth grade pre-algebra at Acalanes, for the 2010-2011 SY receiving an end of year grade of “B-,” even though he had a serious problem completing homework for that class. Based on all of this information, the evidence established that Student’s scores in the math portion of the W-J III administered by Dr. Wright were an aberration, and Student did not have an SLD in the area of mathematics. The evidence established that based on the information available to the IEP team at the April 25, 2012 meeting, the District was correct in finding that Student did not qualify for special education as a student with an SLD in math. 21. The District’s IEP team’s decision that Student did not have an SLD in math was corroborated by additional evidence at the due process hearing. Student’s teacher in that class, Randal Takahashi, was persuasive when he testified that Student did not demonstrate any deficiencies in understanding the subject matter in class, or in performing on tests and quizzes. In fact, Student was often the first in his class to finish a test or quiz. 19 Also, although not considered in making this determination, Student’s final grade of “A” in second semester algebra at Fusion, and the fact that he was doing well in “honors” geometry at Fusion at the time of this hearing further corroborates this finding. 22. A pupil is eligible under the category of OHI if he has limited strength, vitality or alertness, due to chronic or acute health problems, which are not temporary in nature and adversely affect a pupil’s educational performance and who demonstrates a need for special education and related services. The IDEA criteria for eligibility in the category of OHI specify that limited alertness includes a heightened alertness to environmental stimuli that results in limited alertness with respect to the educational environment that is due to chronic or acute health problems, such as ADHD. For purposes of the IDEA, a “child with a disability” is one who, because of the disability, needs instruction, services, or both, which cannot be provided with modification of the regular school program. In other words, to qualify for eligibility under the IDEA there is a two-prong test: not only must the child have a qualifying disability, but he must also require specialized instruction or services that cannot be provided in a regular school program. 23. There is no dispute between the parties that Student has ADHD. Dr. Weiss’s screening report diagnosed Student with ADHD, combined type, as well as oppositional defiance disorder (ODD). 20 Dr. Wright’s assessment report diagnosed Student with ADHD, and she made a conclusory statement in her assessment that Student “should be deemed eligible under the category of ‘Other Health Impairment . . . .’” The District’s assessment confirmed the ADHD diagnosis. All three reports were considered by the IEP team on April 25, 2012. The crux of the dispute between Student and the District, is whether the District can provide him with the services he needs in the regular school program. Based on the information available to the District at the IEP team meeting on April 25, 2012, the District found that Student did not qualify as a student with OHI. 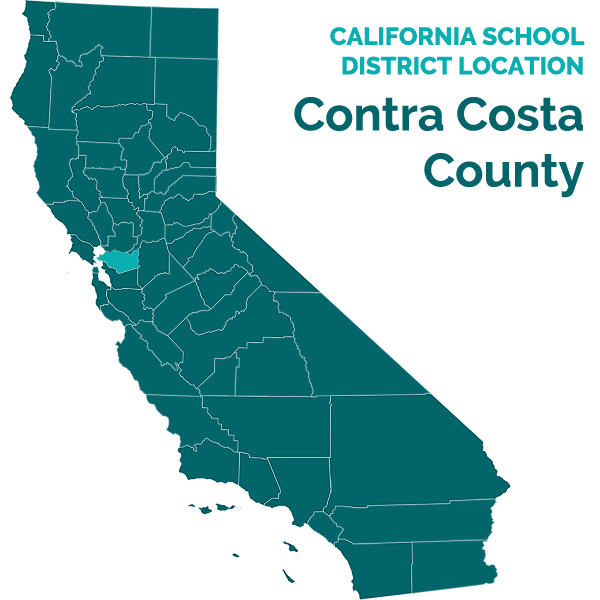 The District claims that it did not appear that Student required specialized instruction, and that it could provide services Student required in the regular education program at Las Loma, in conjunction with a 504 plan and a BSP. Student claims that based on his past history in the District and before, both academic and disciplinary, he requires “specialized instruction” similar to that which he is receiving from Fusion Academy, and this establishes that he should have been found eligible for special education as a student with OHI at the April 25, 2012 IEP team meeting. 25. Dr. Wright diagnosed Student with ADHD, combined type, and claimed that he was thus eligible for special education in her testimony. However, in the report she wrote in February 2012, she did not discuss the criteria found in Education Code section 56339, which states that the pupil has ADHD and “demonstrates a need for special education and services.” Nor did she discuss California Code of Regulations section 3030, subdivision (f), which discusses “limited strength, vitality or alertness . . . which adversely affects a pupil’s academic performance.” In fact, Dr. Wright stated in her report that “If provided with appropriate supports, [Student] should be capable of functioning adequately within the general education setting,” and recommended that he be given “a behavior program” to address executive functioning deficits. Dr. Wright’s report was considered by the IEP team on April 25, 2012, but she did not attend the IEP meeting. 26. When she testified, Dr. Wright stated that she believes Student requires oneto-one instruction such as he receives at Fusion in terms of academics, and also for remediation in the area of executive functioning, with explicit instruction in that area. However, this information was not available to the IEP team at the April 25, 2012 meeting, nor was this recommendation contained in her February 2012 report, which creates doubt about the veracity of her testimony. Further, as will be discussed below, Fusion does not provide its students with educational services that can be described as special education. 27. Dr. Wright based her testimonial opinion on interviews of Student and Parents, Dr. Weiss’s screening report, the District’s assessment, her review of school records provided to her by Student, and her own testing results. However, Dr. Wright’s opinion that Student should be found eligible for special education under the category of OHI was compromised by a failure to consider Student’s CST testing scores and other information available in the District’s psycho-educational assessment, as well as her own report which claimed that Student could function in a general education environment. 28. Dr. Weiss has been providing family therapy to Student and his family in his private practice as a clinical psychologist since May 2010. The purpose of the therapy is to deal with family issues, such as lack of structure and disciplinary issues, although Student’s poor grades and conduct in school and at home were also discussed at times. 22 The same surveys had also been provided to the same teachers in the fall of 2010, but the returned surveys were incomplete or otherwise flawed and were not scored or kept by Dr. Weiss. 29. Dr. Weiss conducted a screening of Student for ADHD in August/September 2011, by having three of Student’s teachers at Acalanes complete the Behavior Assessment Scale for Children-2 (BASC-2) and the Behavior Rating Inventory of Executive Functioning (BRIEF). 22 The BASC-2 and BRIEF are surveys that require people familiar with the subject being assessed or screened to respond to questions. The responses are then reviewed and scored to determine whether the subject shows signs of a possible disorder or disability. Parents also completed these surveys. At the April 25, 2012 IEP team meeting, the team considered Dr. Weiss’s screening report from September 2011, which diagnosed Student with ADHD and ODD, and recommended that a 504 plan be considered for him. 30. Dr. Weiss testified that he believed Student should have been found eligible for special education under the OHI criteria. However, this information was not contained in his report, and he did not attend the IEP team meeting on April 25, 2012. Dr. Weiss’s belief that Student should have qualified for special education was based on information he received from Student, Parents, and a review of Dr. Wright’s assessment and the District’s assessment, as well as records provided to him by Student’s attorney after the April 25, 2012 IEP team meeting. Dr. Weiss premised this position on the fact that Student had failed many classes in the past in a general education environment, and had a history of disciplinary actions for fighting and other maladaptive behaviors, but was now doing well in the one-toone instructional environment at Fusion. However, Dr. Weiss never observed Student in any classroom setting, nor did he interview any of Student’s teachers or other staff at Acalanes, Fusion Academy or Golden Gate. He did find it unusual that Student consistently scored so well on the CST, given his diagnosis of ADHD, and also commented on Student’s increased maturity level since he last attended a District school. 31. Ms. Seerley completed a report in January 2013, recommending that Student be found eligible for special education under the OHI category due to his diagnosis of ADHD. She relied heavily on Parent and Student interviews, Dr. Wright’s and Dr. Weiss’s reports, school records, and observations of Student at Fusion, and classes at Las Lomas. 32. Ms. Seerley testified that Student needed special education because he had not succeeded in a public school setting since kindergarten. However, Ms. Seerley did not interview any of Student’s teachers from the ninth grade, and as will be discussed below, Student’s classroom behavior and performance were not that of someone who required specialized instruction in order to receive a FAPE. 33. Ms. Seerley observed Student at Fusion and felt he needed frequent “cuing” to stay on task, even in Fusion’s one-to-one teaching environment. She also observed classes at Las Lomas and believed Student could not be successful in them because there were too many students, and this would result in Student being too distracted, without sufficient teacher attention to bring him back on track. 34. Ms. Seerley was very knowledgeable about ADHD. However, she did not seem to understand that, as will be discussed below, Fusion does not provide its students with “specialized instruction.” Nor did she understand that the provision of a FAPE does not require a school district to maximize a student’s potential. Further, Ms. Seerley also seemed to believe that Student required special education, because he required “goals” in several areas of executive functioning, but that is not a sufficient basis for a finding of special education eligibility. An appropriate and properly implemented BSP can help a student to develop executive functioning skills. Finally, Ms. Seerley acknowledged that not all students with ADHD require one-to-one instruction to succeed, nor do they need an IEP. 23 Although Student implied, when questioning witnesses, that the District should have made an effort to obtain more information from Dr. Wright, Dr. Weiss and Ms. Seerley, and possibly invite them to the IEP team meeting, the evidence established that Student never requested this, nor did Parents ask that this be done and sign the necessary consent forms for this to happen. 36. There is no specific rating scale that can tell an IEP team whether a student with ADHD requires special education. In making the determination that Student did not meet the OHI eligibility criteria, District personnel considered these factors, among others: history; present profile; what parents had said in past about the child’s performance; what had been tried and actually implemented in the past and succeeded or failed; what current teachers were saying; what rating scales had shown; whether child had succeeded in various educational environments; and had the child been learning, as demonstrated by a consistently high level of achievement in CST testing in the past and presently and/or by way of standardized academic assessments such as the WJ-III. 37. The District’s IEP team was well aware of Student’s poor grades in middle school and at Acalanes. However, his grades were not consistently poor. At WCI he passed all his elective classes, and his grades in academic classes ranged from A’s to F’s. Teachers consistently reported that Student was missing work. However, Student’s CST scores from testing in the spring of 2008 (sixth grade) were in the proficient range in ELA, and near the top of the basic range for math. 38. In seventh grade, the 2008-2009 SY, Student’s CST scores were in the proficient range in ELA, and high basic range for math, although he had failed both English and pre-algebra. In eighth grade, Student’s CST scores were in the proficient range in ELA and mathematics, and in the advanced range in history/social science and science. He had failed history, science and pre-algebra that year, and received a “D-” in English. 39. At Acalanes the same pattern continued, with Student receiving end of year grades of “B-” in pre-algebra, but failing grades in English and history. However, as in other years, he did well in the CST with scores in the advanced range for ELA and social science/history, although he was below basic in math, which was testing at the algebra 1 level. However, since Student had not yet taken algebra, this score was understandable. The evidence established that Student’s poor grades were because he was not completing and turning in assignments. 40. Student did not have any disciplinary events during his first semester at Acalanes. However, he was referred to a student attendance review board (SARB) due to multiple instances of being tardy to his first period pre-algebra class. In his second semester at Acalanes, Student was suspended for fighting in February and May, 2011, and there was another suspension in May related to several accumulated incidents such as one where Student was sent to the office, but never appeared. Student’s suspensions totaled 10 days. 41. When she conducted her assessment, Ms. Lewis took into account all of this information, having reviewed these school records. She concluded that his poor grades were due to him not completing and turning in assignments, and this was not disputed by the IEP team members at the April 25, 2012 meeting. 42. Student attended summer school in the summer of 2011, which was held in two sessions, and completed world history and received a “C+” for the first session. Student did not complete the second session, during which he was to repeat ninth grade English, because he was suspended and subsequently expelled from the District for the Works bomb. 24 There was testimony that the “algebra” class at Golden Gate was another prealgebra class, but this testimony was rebutted by the fact that Student’s algebra class at Fusion was designated as the second semester of algebra I on all of the Fusion grade reports, and the number of sessions coincided with only one semester of algebra. Further, Student received an “A” in that class which would have been unlikely if he had never completed the first semester of algebra I. 43. Student enrolled in Golden Gate Community School on October 28, 2011, following his expulsion. He completed his first semester with a “B” in Algebra 1, and C’s in English, life science and world history. 24 All of these classes were independent study. 44. As part of her assessment of Student, Ms. Lewis interviewed one of Student’s teachers at Fusion, and reviewed current progress reports from Fusion. Student was doing extremely well in all of his classes, and teachers commented on how diligent he was completing his work. 45. At Fusion, students are expected to complete work in the Homework Café, where several students are centrally located. There are two rooms used for Homework Café, one where students are allowed to socialize, although they are expected to complete homework, and another where talking is not allowed. The evidence established that Student attended the social Homework Café. Comments on the progress reports indicated that although Student would socialize with other students in the Homework Café, he would quickly return to his school work and complete it. 46. Based on all of this information, including Dr. Wright’s and Dr. Weiss’s reports, Ms. Lewis concluded, and the District’s IEP team members agreed, that Student did not qualify for special education under the OHI category, because he did not require specialized instruction due to his ADHD. The evidence showed that Student was accessing his curriculum in a variety of educational settings, and was learning. All of his scores on the academic testing via the WJ-III showed that Student was in the average to above average range for his age and grade level in his academic knowledge. Student’s scores on CST testing confirmed this. Again, it should also be noted that Dr. Weiss’s report, which was considered by the IEP team on April 25, 2012, did not recommend that Student be found eligible for special education. Dr. Weiss recommended that a 504 plan be considered, which is what happened. Dr. Wright’s report stated that Student could be educated in the general education setting and, all of her recommendations pertaining to the ADHD diagnosis were accommodations to be implemented in a general education setting. 47. Student did not establish that the District’s determination at the April 25, 2012 IEP team, that Student was not eligible for special education under the OHI category was in error, based on all the information available to the District at that time. The District’s decision to not find Student eligible under the OHI category was corroborated by additional evidence at hearing. For example, many general education interventions had been attempted in the past, based on the Individual Learning Plan recommendations when Student attended WCI, and a school study team (SST) plan developed at Acalanes on October 29, 2010. However, those interventions were not consistently implemented to the extent that Student and Parents were responsible for doing so, although Acalanes personnel consistently implemented the interventions and provided the accommodations that were called for in the SST plan, as well as others that were not part of the SST plan. 25 Ms. Millar received her bachelor’s degree from California State University, Chico in 1994, attended California State University, San Francisco (CSUSF) for continuing education in psychology, and received her master’s degree in counseling at St. Mary’s College, Moraga, California (St. Mary’s) in 2002. She has had a PPS credential since 2000, and has worked as a counselor for the District since 2002. 26 Mr. Takahashi completed his bachelor’s degree at the University of California Berkeley (UC Berkeley) in 1986, and completed the course work for his secondary education teaching credential in mathematics in 1987 at CSUSF. He received his master’s degree in physical education administration from St. Mary’s in 1997, and completed the coursework for an administrative credential at California State University, East Bay in 2009. Ms. Pagano received her bachelor’s degree from UC Berkeley in 1987, a master’s degree in education from California State University Northridge in 1989, and a master’s degree in writing from Mills College in 2001. She taught in the Los Angeles Unified School District from 1987 to 1991, and has taught English with the District since 1991. She was also a community college instructor in English from 2001-2002. 27 Unlike many other states, California does not have teaching credential reciprocity with any other states. This means a teacher who was credentialed in another state will be required to complete California education courses to obtain a clear California credential. 48. Student’s ninth grade counselor from Acalanes, Lynn Millar, persuasively testified that Student’s failing grades were due to him not completing classwork and homework, and she corroborated this in multiple conversations with his teachers during that school year. 25 Teachers never reported to her that Student seemed tired, wasn’t alert, was spacing out, or lacked focus in the classroom setting which would have indicated that his ADHD prevented him from accessing the curriculum, which might have qualified him for special education under the OHI criteria. Nor did the teachers say Student required “specialized instruction.” Following the SST meeting on October 29, 2010, Parents never requested additional interventions from Ms. Millar during the remainder of the school year. Based on Father’s testimony, and emails between him and school personnel during the 20102011 SY, it was clear that Student made no effort to utilize interventions such as peer tutoring during lunch and after school (which would have earned him extra credit in many classes), or asking teachers to complete weekly reports on his progress and then bring them home to Parents. 49. Two of Student’s teachers from the ninth grade also testified at the hearing, Mr. Takahashi and Elizabeth Pagano, Student’s English teacher. Both are very experienced teachers, and were very credible. 26 Both testified that Student was generally attentive in class, and participated. He did not appear sleepy or distracted in class. Ms. Pagano found that Student was similar to many ninth grade male students she had taught, and did not seem to be abnormally unfocused, off-task, or struggling to stay alert. She offered many times to meet with Student after school to assist him, but he never came. 50. Student argues that the disciplinary incidents in middle and high school are the result of his ADHD, and are yet another reason why it interferes with his ability to be successful in a general education environment. However, the detonation of the Works bomb during the summer of 2011 required Student to learn how to make it, obtain the components and bring them to school in his backpack, which he did, and to find a location where he could detonate it. Student reportedly said he was planning on detonating the bomb at a friend’s house after school, and just couldn’t wait, but when he was arrested a few days later at school, 17 aluminum foil balls, components of a Works bomb, were found in his backpack. 51. The evidence established that when Student was suspended, or absent from school for any reason, Parents were able to get his assignments from the school so he could work on them when suspended, and he was allowed to make up all quizzes and tests that he missed. However, although he was restricted by Parents from watching television or playing computer games during school hours when suspended, assignments were still not completed, and tests and quizzes were not made up. This demonstrates that Student consciously made choices to not complete assignments or take advantage of opportunities to make up missing work. 52. Student’s witnesses all testified that Student’s ongoing success at Fusion (he receives “As” and “Bs” at Fusion) shows that he requires special education and services. Fusion is a private school that received accreditation from the Western Association of Schools and Colleges in January 2013. It is not a nonpublic nonsectarian school that has been certified by the California Department of Education to provide special education services to students with IEP’s. 53. Although Student argues that the program at Fusion is “specialized instruction,” the evidence did not establish this. Currently there are 13 teachers at Fusion. Approximately one-third have a teaching credential, and only three have California teaching credentials. 27 None of the teachers at Fusion have a special education credential. There is neither a trained behaviorist nor a school psychologist on campus. There is also a licensed marriage and family therapist (MFT) at Fusion who is available to counsel students. However, Student has never consulted with this MFT (who is not a school psychologist). 54. At Fusion, Student receives one-to-one instruction from teachers in various academic and elective classes. He is able to work at his own speed. Classes last one hour, and often have work assigned during the class that can be worked on in class, and completed during one-hour periods in the Homework Café. The expectation is that students will complete all classwork and homework before they leave Fusion for the day, and students are expected to check-in with teachers at the end of the day to have them sign-off on completed work. 55. There was strong evidence that one-to-one instruction can be very beneficial for most students. And some students do require this type of instruction to receive a FAPE. However, the evidence did not establish that this is the only way Student can learn. 56. Student also argues that he requires placement at Fusion because his ADHD causes him to be impulsive and to engage in maladaptive behaviors, such as the Works bomb incident in the summer of 2011. However, Student had engaged in similar impulsive behavior at Fusion shortly before the due process hearing began by spray-painting his name, graffiti style, in Fusion’s parking lot, when classes were in session. This type of behavior, and the fighting and other behaviors seen at Acalanes can be dealt with through counseling and a BSP, both of which were offered in the 504 plan created at the April 25, 2013 IEP team meeting. The testimony of Ms. Millar, Ms. Pagano, and Mr. Takahashi made it clear that Student’s behavioral incidents at Acalanes were not out of the ordinary for many male high school students. Counseling and a BSP are interventions that do not require an IEP, and can be offered even to students without a 504 plan. 57. Student indicated during the hearing and in his closing argument that he and Parents anticipate that he will graduate from high school at the same time as his peers, and they are looking forward to him attending a four year college. There was an implication that this will not occur if Student returns to a public school setting. However, this is not a valid reason to find him eligible for special education and services. 58. Although Student, and the witnesses who testified on his behalf, claim that his poor grades in academic subjects establish a need for special education, the evidence established that Student’s poor grades were due to him not doing classwork and homework and turning it in. Student argues that this inability to complete assignments is due to his ADHD, and demonstrates a need for special education. However, the evidence established that at Fusion Student was starting, completing and turning in assignments with no problems at all, working well in the non-quiet Homework Café. This would not be likely if Student’s ADHD rose to the level that would qualify him for special education as a student with OHI, especially since Fusion does not provide special education instruction. Finally, Student did not establish that he was not learning in his ninth grade classes at Acalanes with 20 to 30 students in each class, and he therefore requires the one-to-one instruction he receives at Fusion Academy; his ninth grade CST scores and progress at Fusion belie this assertion. Based on all of the information available to the IEP team on April 25, 2012, the District IEP team was correct when it found Student ineligible for special education as a student with OHI. This determination was confirmed by evidence of other events, past and subsequent, that was not available to the IEP team on April 25, 2013. 1. Under Schaffer v. Weast (2005) 546 U.S. 49 [126 S.Ct. 528, 163 L.Ed.2d 387], the party who filed the request for due process has the burden of persuasion at the due process hearing. In this case, Student filed for a due process hearing and therefore bears the burden of persuasion. 5. If found eligible for special education, the IDEA requires a school district to provide a student with a “basic floor of opportunity,” which “consists of access to specialized instruction and related services which are individually designed to provide educational benefit to” a child with special needs. (Board of Education of the Hendrick Hudson Central School Dist. v. Rowley (1982) 458 U.S. 176, 200 [102 S.Ct. 3034, 73 L.Ed.2d 690] (“Rowley”). Issue 1 a): From the end of the 2012 ESY to the present time, did the District deny Student a FAPE by failing to find Student eligible for special education and/or related services under the eligibility category of SLD? 11. Legal Conclusions 1-10 and Factual Findings 1-21 establish that Student does not have an SLD. There was an unexpected discrepancy between Student’s FSIQ on the WISC-IV and the scores of two math subtests of the WJ-III administered by Dr. Wright, and an even larger discrepancy between the scores on the math subtests and the GAI, as computed by Dr. Wright. However, when the District administered a different form of the WJ-III, Student’s scores on the same math subtests, as well as a third math subtest, were in line with the cognitive testing performed by both Dr. Wright and the District. Further, Student’s CST scores in the area of math, in the years preceding ninth grade, and his grades in algebra at Golden Gate and Fusion, and his Fusion teacher’s comments to Ms. Lewis, and comments from other teachers on Fusion progress reports prior to the IEP team meeting of April 25, 2012, were consistent with the District’s WJ-III testing. The District’s determination that Student does not have an SLD in the area of math was confirmed by his subsequent success at Fusion in completing algebra 1, and then successfully taking an onors geometry class at Fusion. In addition, Student’s pre-algebra teacher at Acalanes persuasively testified that Student showed no difficulty in that class which might have indicated an SLD, and the only reason he did not get a higher grade than the “B-” that he received was due to the fact that he was not completing/turning in homework. Accordingly, the evidence established that Student does not have an SLD in the area of math. 1 b): From the end of the 2012 ESY to the present time, did the District deny Student a FAPE by failing to find Student eligible for special education and related service under the eligibility category of OHI? 15. Legal Conclusions 1-7 and 12-14, and Factual Findings 1-8 and 15-58 do not support Student’s contention that he should have been made eligible for special education and/or services under the category of OHI. There is no dispute that Student has ADHD. However, the evidence did not support Student’s contention that the IEP team should have thus found him eligible for special education and related services under the eligibility category of OHI on April 25, 2012. Student’s witnesses repeatedly pointed to Student’s history of failing grades from fifth through ninth grades in core academic subjects. However, they ignored his passing grades in summer school and from Golden Gate, and tried to equate the educational program at Fusion with a special education program in the District, to establish Student’s need for “specialized instruction”, when in fact Fusion does not provide specialized instruction. 17. Student also argues that his disciplinary referrals in ninth grade, and subsequent expulsion from the District in summer school were the result of his impulsivity due to his ADHD and therefore interfered with his education to the extent that it established a need for special education. However, Student’s planning prior to the Works bomb explosion belies a claim of impulsivity, especially in light of him subsequently being found in possession of Works bomb components when he was arrested several days later at school. Other discipline incidents at Acalanes did not rise to such a level that would support excessive impulsivity to such a degree that Student requires special education and services. Although Student still occasionally acts impulsively, this impulsivity in and of itself does not establish that he needs an IEP and should have been found eligible for special education as a student with OHI. Issue 2: Does Student require placement at Fusion Academy for the 2012-2013 SY in order to receive a FAPE? 18. Because Student is found to not be eligible for special education and services in this decision, there is no need to decide this issue. Education Code section 56507, subdivision (d), requires that the hearing decision indicate the extent to which each party has prevailed on each issue heard and decided. The District prevailed on each issue decided.